We evaluate your market challenges and then bring concrete solutions forward and build specific, measurable programs to accelerate your business. 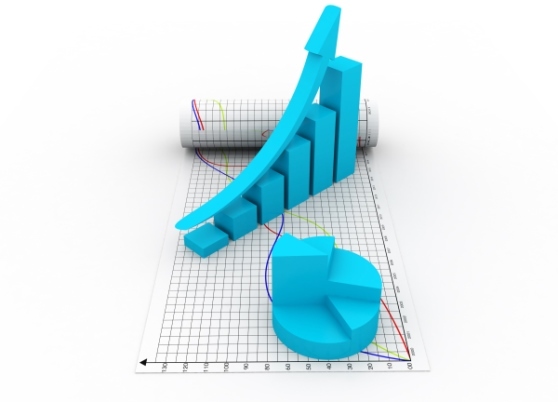 Slow growth or a declining market can be frustrating and even fatal for your business. We work with you and your management teams to address growth challenges as opportunities, including strategic and operational guidance for Market Expansion, New Product launches, Market Activity Acceleration Programs, as well as product/services Diversification strategy - all critical components to your business growth strategy. We start with a simple question: Where will your business growth come from? Perhaps the most obvious source of growth or revenue maintenance is the development of new offerings to your existing customer base. You could expand your target markets – whether by customer type or geographic location. This is often the linchpin for sustained growth. Diversifying your product portfolio can lead to expanding your share of wallet with your customer base, as well as make your offerings appeal to a broader market base. Another approach is to build additional market momentum through new and innovative targeted activities, initiatives and programs to drive market acceleration and business growth. A rigorous and regular approach to competitive position, direction, strengths, and weaknesses will identify gaps and opportunities, defining the path to competitive advantage in your market. 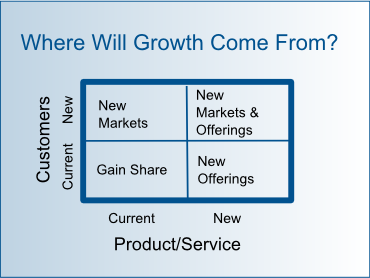 Segmenting markets, targets and opportunities can yield greater clarity and more specific relevance for your company and its offerings.